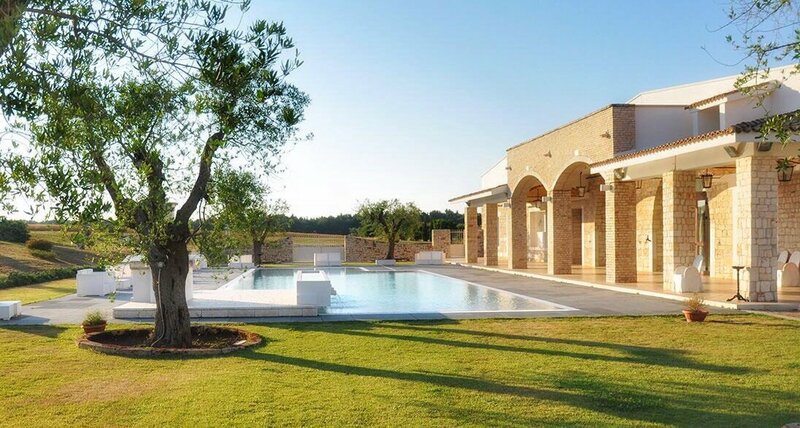 Ancient stone farmhouse, finely restored, surrounded by greenery, in the park of the Altamurgy. It represents one of the structures that characterize the territory. In the Old Court, the bell tower of the church and the majestic oaks will frame a colorful cocktail prepared for your guests; your event will be the common thread that will bind the memories of the past to the emotion of the present. The kitchen is the pride of the structure: high quality products and skilful staff are a unique mix for a safe result. Tenuta la Vallonea has successfully passed the 100 Quality Controls established by the "Certification Protocol of Historic Houses of Excellence" and is properly certified by the ITALIAN REGISTRY OF THE HISTORIC HOUSES OF EXCELLENCE. The phone number of Tenuta la Vallonea is +39 080775178 or 3687834849.